Are you Suffering from Machine Meltdown? Need your Siemens Drive Back up and Running? "RepairZone saved us from excessive downtime. Our machine was running, but not at optimal speed. OEM lead time was outrageous. The drive you sent us is running strong. Thanks!" Expert Drive Repair, Every time! Repair Zone has the capabilities to repair and run test many Siemens drives. Combined, our technicians have well over 30 years of drive experience, so you can expect fast quotes and expert care. Here at Repair Zone our team of technicians are ready to troubleshoot and repair your Siemens drive. 100% satisfaction gaurantee is our goal. Let Repair Zone service your Siemens drive! 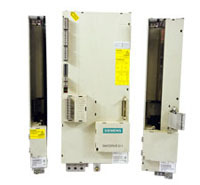 Or, browse our Siemens Drives Inventory for repair, exchange, or purchase.